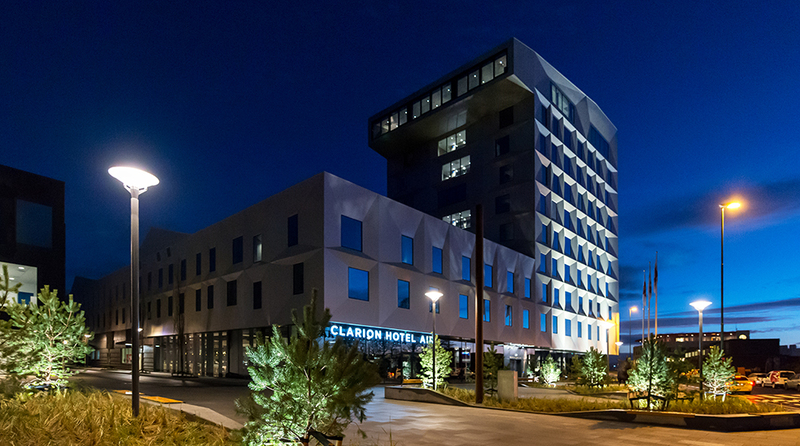 The Clarion Hotel Air is a first-class hotel right by Stavanger Airport, Sola. With the Kitchen & Table restaurant and conference opportunities for up to 1,250 people, a vibrant meeting point a few minutes from the gate. We are a cash-free hotel. Clarion Hotel Air is a vibrant meeting point that will arouse your curiosity and offer new experiences. The vibrancy of a meeting point isn't down to world-famous designs, stylish paintings or even about the best music. A truly great lounge or meeting place is all about people. It's the people who create a vibrant atmosphere, hoping to turn an ordinary weekday evening into an incredible experience. That's the feeling we're trying to convey in our Living Room. See you soon at Clarion Living Room!